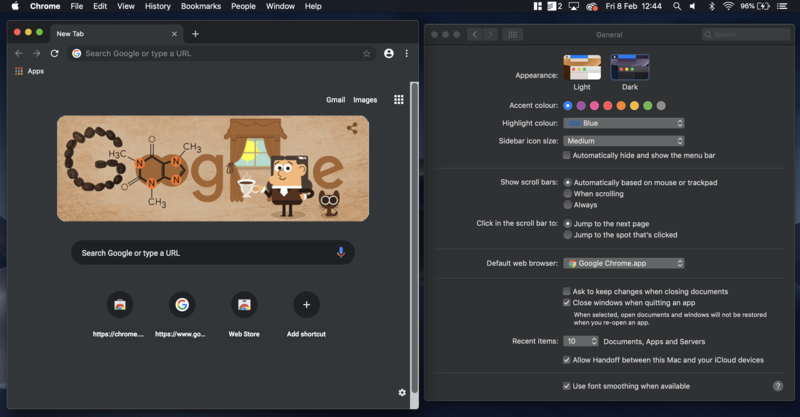 As reported by TechDows, Google engineer Peter Kasting filed a bug report back in May outlining the need for a dark mode in respect of the Windows 10 light or dark theme choice, sparking a discussion on how best to achieve it. Copying the current incognito mode theme was proposed as a quick fix, with something more unique eventually planned by the Chrome team. 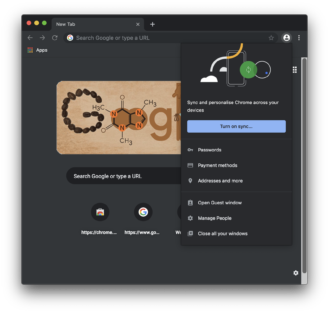 The same thing is also being developed for MacOS to go with Apple's recently launched dark mode. More recently, Kasting confirmed in this Reddit thread that the feature is in the works while pointing out that people can install dark themes from the Chrome Web Store in the meantime. 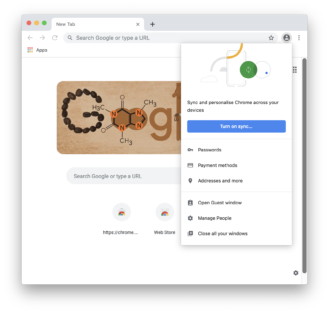 Native support for switching would bring Chrome in line with Microsoft's own Edge browser and Mozilla's Firefox on Windows 10. 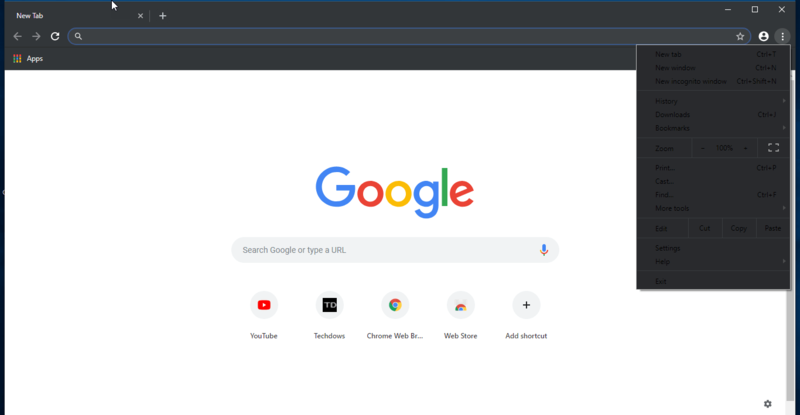 Dark mode in Chrome Canary on Windows 10. 3. In the Target Field, after chrome.exe after giving a space, add --force-dark-mode, click Apply to save changes. 4. 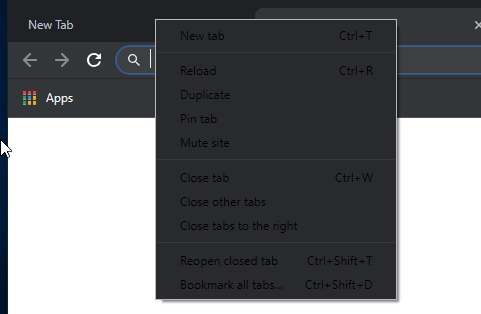 Run Chrome to see appear dark in the UI, check screenshots below of how Chrome’s menu, Settings and download pages look with dark mode enabled for the first time. To roll back to the default theme, you need to remove the command-line flag. As you can see from the image above, it's not quite there yet. We can expect the MacOS version to look much the same. For those on Chrome OS, there's also a way to get dark mode up and running, although it's nowhere near the finished product. 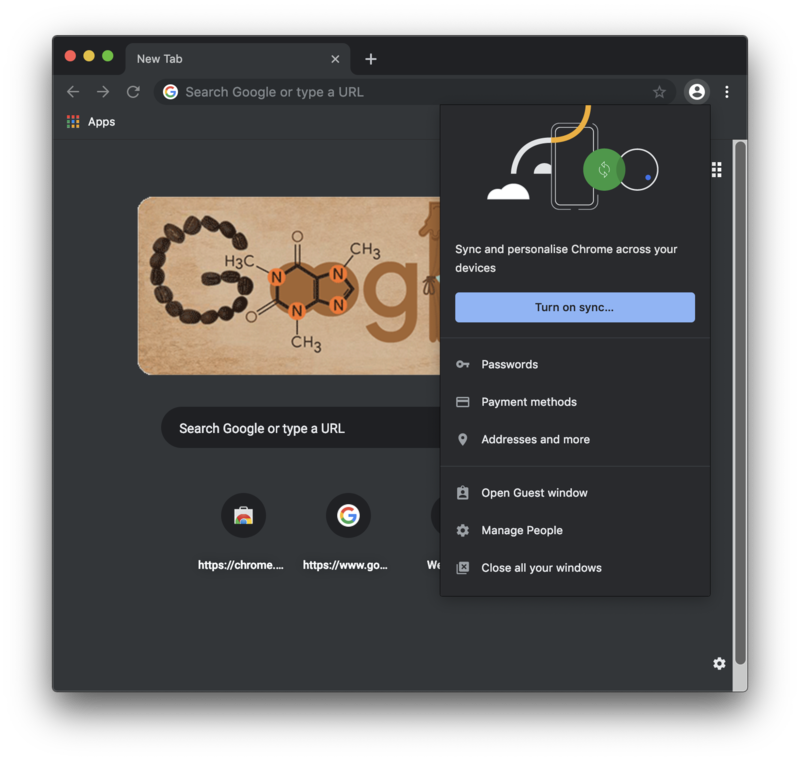 In its latest major version update, MacOS Mojave included a system-wide dark mode. 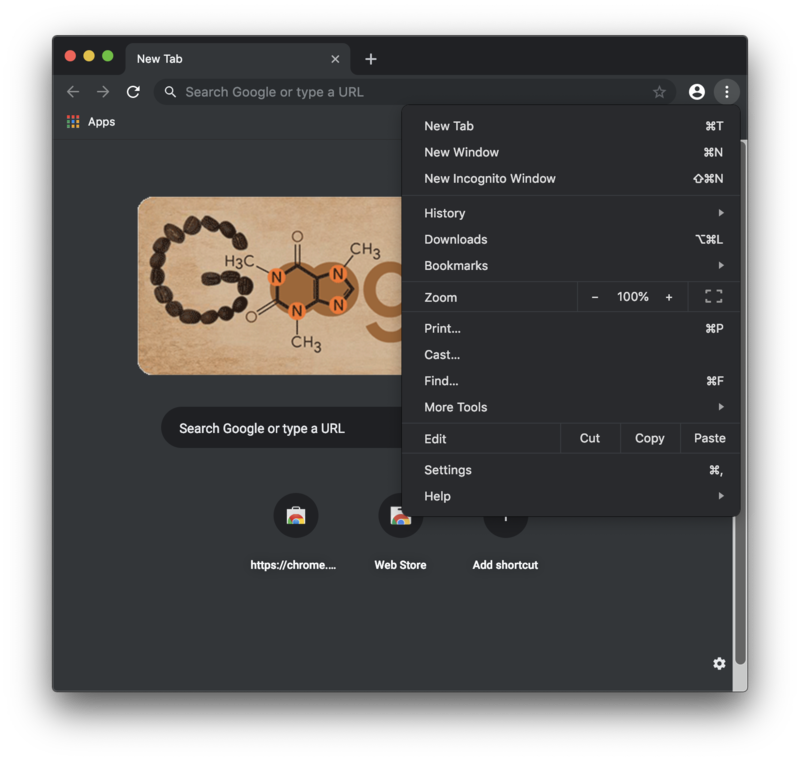 Until developers of other apps support it, it's been mostly Apple's own apps that work with it so far, but further to its testing of a dark mode in Chrome for Windows, Google has now implemented it in the Canary channel on MacOS. 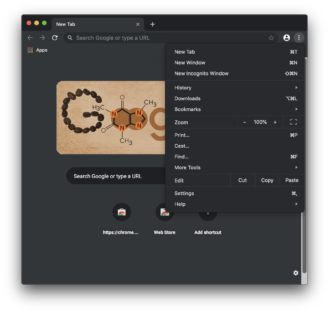 Like in Windows, the new dark theme in Chrome matches the top-level OS without the need for enabling flags or changing settings — it just works. I've tested it out and taken some comparative screenshots for your perusal. 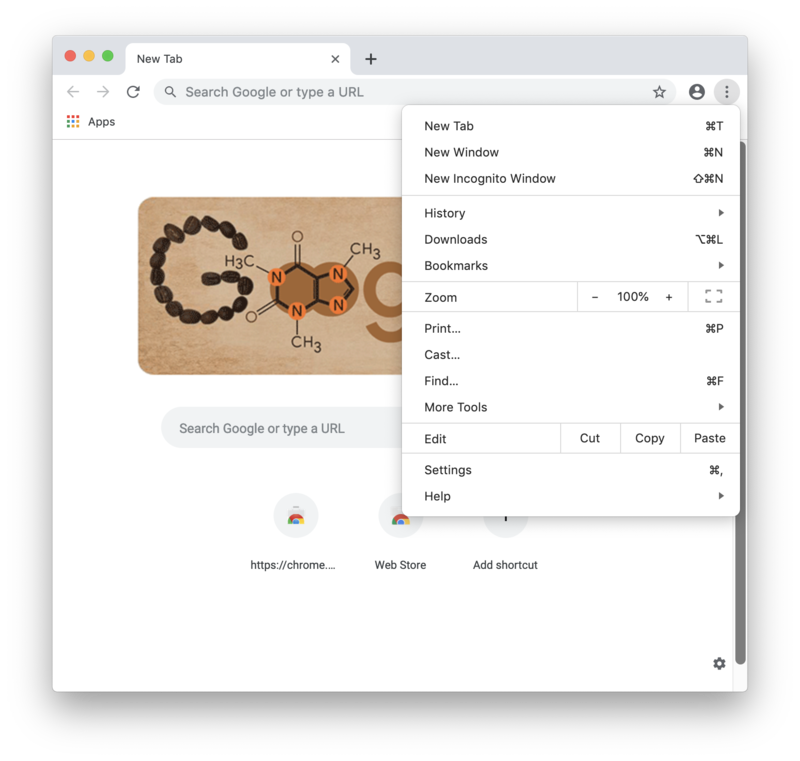 I do have some flags switched on that modernize the look of the new tab page, without which some of the contrast between text and background doesn't look quite right. But this is a better representation of what it will look like when it eventually reaches the stable Chrome channel. 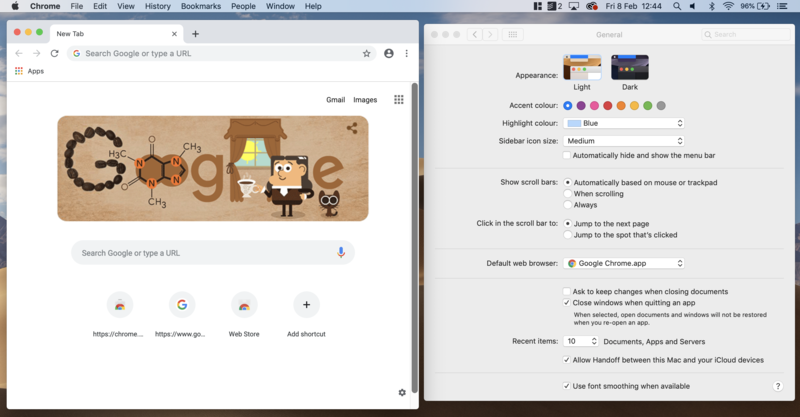 Now we're just waiting to see what dark mode will look like on Chrome OS, which is naturally a much bigger project.